Praised by The L.A. Jazz Scene as a musical duo that can “draw out the beauty in the rich melodies and play the music…with taste, sensitivity, and a real affection for the idiom,” Ivory&Gold® celebrates the greatest examples of American jazz, blues, ragtime, Broadway and hits from the Great American Songbook. Internationally renowned American musical performer and historian Max Morath calls Ivory&Gold® “musically flawless.” Ivory&Gold® has played to packed houses on six of the seven continents in every imaginable scenario. 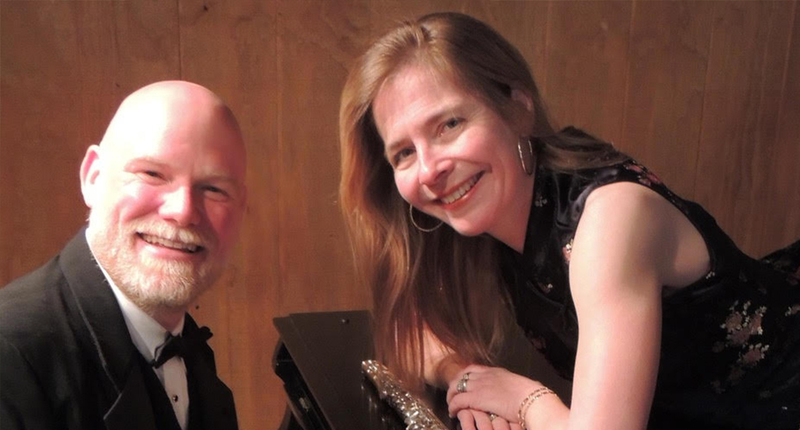 This husband-and-wife team continues to thrill audiences with music, history and humor, enjoying a hectic schedule of concert, festival, and private home appearances. Their versatility and rapport create an incomparable listening experience for all ages. A typical concert features a wide variety of styles from Ragtime to Swing, Broadway to Gospel.